Avoid attempts to perform your own pest control with the first chemical you find in your cupboard. Get an inspection by a professional or you easily could make the problem worse. 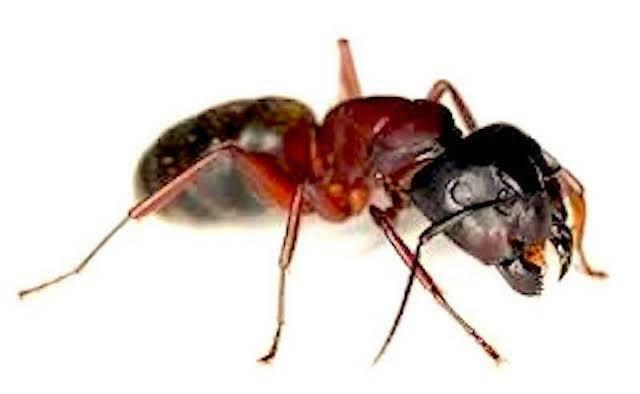 The carpenter ants are nocturnal, unless under stress due to lack of water. They build their nests outdoors in various wood sources, including tree stumps, hallow logs, firewood or landscaping. They need a constant water source to survive. Carpenter ants will enter the house through wet, damaged wood. Course sawdust is a sure sign, but is often difficult to find the nest. The black Carpenter ants are a common invader of homes and damage wood through their nest building. If you notice black carpenter ants, contact ​​​​​Certified Pest Management professionals immediately to help start a proper course of ant control. We can help with your commercial pest control and residential pest control needs. Carpenter ants require a water source. To prevent carpenter ants in the house, eliminate sources of moisture or standing water. Keep tree branches and other plants cut back from the house. Sometimes pests use these branches to get into your home. Make sure that there are no cracks or little openings around the bottom of your house. Sometimes pests use these to get into your home. Make sure that firewood and building materials are not stored next to your home. Check firewood before bringing inside. ​ Recognizing the earliest signs of a carpenter ant infestation will help you get a handle on the problem more quickly and save money. A false sense of security can be derived from a nest that is only partially killed. Since there is no consistent way of verifying, the colony will become virtually non-visible and won’t show back up again until it has regenerated itself. It can take months to tell for certain whether a problem is fully eradicated. For this reason, opting for continued periodic service treatment is much wiser plan of attack than a one-time treatment. Also, money spent on a more thorough treatment process will often pay for itself in as little as 6 months or a year. Keep in mind the goal of successful carpenter ant extermination; to increase the likelihood of a more through colony kill and then start practicing preventative integrated pest management practices.